If you haven’t heard about The Ordinary by now, you must have been living under a rock. And if you have been living under a rock, then I’ll clue you in! The Ordinary is an affordable skincare brand by Deciem, ‘an umbrella of brands focused on advanced functional beauty’. Their more well known brands are Hylamide and NIOD, and The Ordinary is the latest to be added to the line up. It’s designed to be their entry level brand – functional, effective products without the huge price tag. Tempting, right? Well you wouldn’t be the only one to be tempted. There’s been a lot of hype about the new brand, so much so that majority of products are sold out everywhere! Video’s and blog posts have been popping up about The Ordinary left, right and centre, so I’ve seen a lot about the various products on offer. So I decided to look into the brand a little more, especially as my skin isn’t playing fair at the moment, and I’m looking for some new miracle products to slot into my existing Liz Earle routine. I started off by looking at The Ordinary’s website, and found the whole thing WAY too confusing. It’s a very simple brand in the sense that there aren’t any fluffy words and descriptions to help you understand the range. It’s scientific, with products called ‘Ascorbyl Tetraisopalmitate Solution 20% in Vitamin F’ and ‘Azelaic Acid Suspension 10%’. Yep, I have no idea what that means either. So the problem then became understanding which products I’d needed to include within my routine, as I had no idea which core ingredients my skin needed. The website wasn’t too helpful in that sense. I would have liked to see a section where all products for oily skin were grouped together, with a recommended routine laid out to make things simple. Instead, products are grouped by type. So you can look at the Vitamins & Retinoids, Direct Acids or ‘More Molecules’ categories, but you have to click into each one to identify what they’re actually for. It took me ages, and once I’d read through them all, I had to go back and pick out the ones I thought were best for my skin. Cue more YouTube research into individual product reviews. I also looked at Cult Beauty, as they’re stocking some of the products on their site too. It’s definitely the most work I’ve ever had to put into choosing skincare products, but I guess you’re not paying for the marketing blurb with this brand, so it’s to be expected. I finally decided on 6 products, and placed orders directly with Deciem and also on ASOS. I had to shop around a little to find the things I wanted, as not everything was available on one site. A little irritating but not a big deal. So I thought I’d share with you what I ordered and why, then in a few weeks once I’ve given them a go, I’ll be back to give you the verdict! Described as a High-Strength Vitamin and Mineral Blemish Formula, I ordered this to help with my breakouts. As a result of having PCOS, I suffer with regular breakouts which really get me down. It’s particularly bad at the moment, so I have been looking for something to help reduce inflammation and speed up the healing process. Niacinamide is better known as Vitamin B3 and is supposed to reduce the appearance of blemishes and congestion. 10% is a high concentration, and the addition of Zinc is meant to support in balancing visible aspects of sebum activity. The website does note that these ingredients are not treatments for acne, they only help improve the appearance of blemishes etc. Directions state to apply this to the entire face, morning and night, before heavier creams. This is a 10 minute exfoliating facial, which sits under the ‘Direct Acids’ category. The word ‘acid’ scares me when it comes to skincare, but I bit the bullet and decided to give it a go! The Ordinary’s website describes says that this products contains 30% AHA’s (Alpha Hydroxyl Acids) which exfoliate the skin’s topmost surface, giving it a brighter and more even appearance. It also contains BHA’s (Beta Hydroxyl Acids) which also exfoliate with an extended function of clearing congested pores. It offers deeper exfoliation than traditional, physical exfoliators and helps fight blemishes for improved radiance. With continued use, the formula also promised to improve the appearance of skin texture and the look of fine lines. This product can irritate the skin, especially if you’ve never used an acid exfoliator before. It contains Tasmanian Pepperberry to help reduce irritation, but they advise using this in the evening, no more than twice a week and can cause peeling, irritation and sun sensitivity. Continuing with the theme of products for blemish prone skin, I also chose the Salicylic Acid 2% Solution, which also contains Witch Hazel. This is a BHA which exfoliates the skin and is classed as a treatment solution to exfoliate the inside walls of pores to fight the appearance of blemishes. Directions state to use morning and night, by applying a small dot directly on spots or by applying a small amount over the face to maintain visible clarity with continued use. This is a hydration support formula, which is used to deeply hydrate dry, dehydrated skin. I thought this would be a good idea so that the products above don’t dry my skin out too much! Traditionally hyaluronic acid is used in a lot of skincare products, but The Ordinary claim that the usual molecules are too big to penetrate the skin, meaning it usually sits on the surface of the skin and doesn’t provide deep hydration. This formula contains 3 forms of HA with varying molecule sizes, meaning you get deep hydration as well as surface hydration. To be applied morning and night, before creams. £4 for a primer?! Gimmie! During my research, I’d heard a lot about the High-Spreadability Fluid Primer, which has been hyped by a few YouTubers. But having read up on it, it seems more suitable for drier skin types. And I am OILY. The High-Adherance Silicone Primer is said to act as a matte, hydrating, blurring primer that adheres for longer. No more needs to be said, that one went straight into my basket. High hopes for this one, as most primers I’ve tried either block my pores or do not stay matte. I didn’t really need this one as I have my Liz Earle Superskin Eyecream, but I was curious to see how this one compared. It’s listed as a light-textured formula which contains a high concentration of caffeine supplemented with highly-purified Epigallocatechin Gallatyl Glucoside (EGCG) from green tea leaves. I’ve heard that both caffeine and green tea are great topical treatments for the eye area; has your mum ever told you to rest cold teabags on your eyes to reduce puffiness? There’s a reason why! So there it is – my mini The Ordinary haul. The products were so affordable, I did get a little carried away! But for little over £35, I got 6 full sized products. That’s VERY affordable and if these work out, the larger, more expensive skincare companies better watch out! Watch this space for an update in the coming weeks but if you’ve already tried The Ordinary, then let me know your thoughts in the comments below. A lover of make up, skincare, books, food and my little cat, Bella. 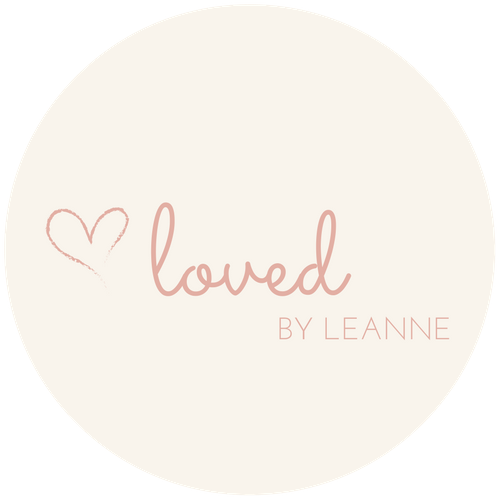 Enter your email address to follow Loved by Leanne and receive notifications of new posts by email.